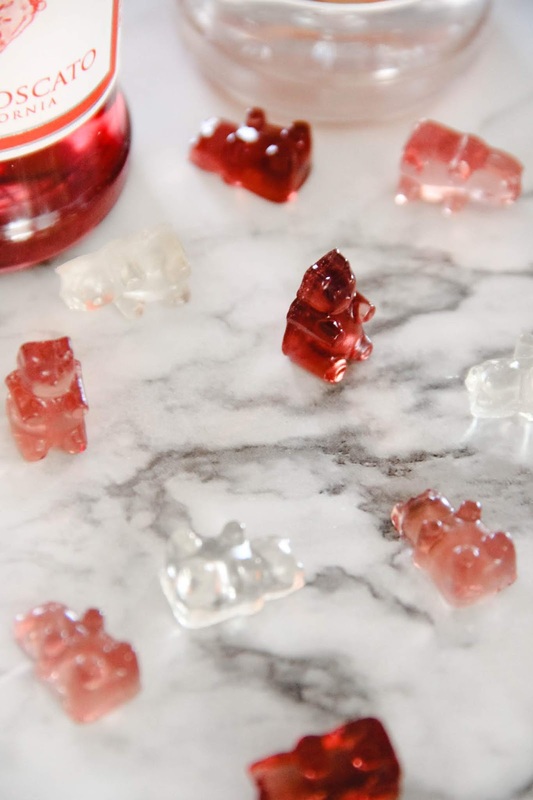 I'm a little too excited about sharing these cute little wine gummy bears with you. Not only are they adorable, but they're SO tasty! And I'm not one to love a powerful alcohol taste, which is why I'm so happy they turned out to be the perfect taste of wine, staying true to the flavor they were made from, without being overwhelming. It took a couple of trials to get the flavor just right, and the final result is a winner. Pin this for later, friends! 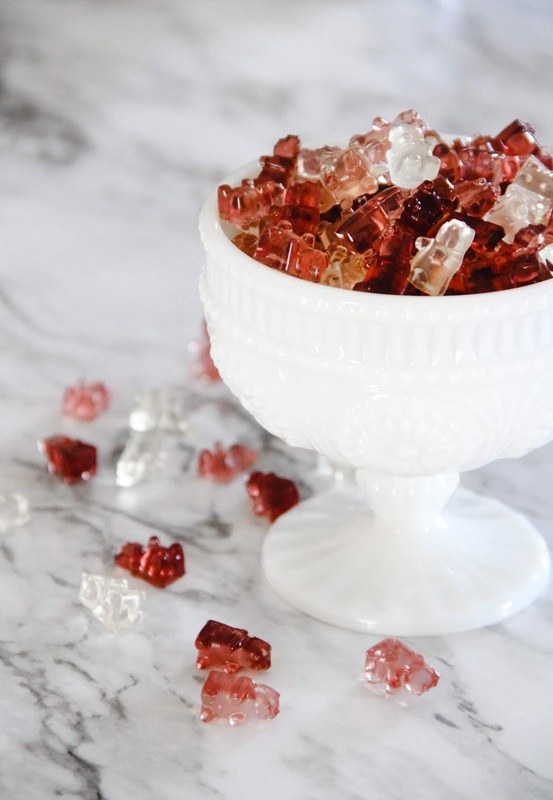 My wine gummy bears would be perfect to serve at a party, celebrate Valentine's Day, wrap up to gift someone, or just because. In this case, we made them for my birthday (it's this Friday! ), and we've loved the out-of-the-ordinary treat. My favorite is the Red Moscato (the blush pink color), closely followed by the Sweet Red Blend (the dark red), which I was pleasantly shocked about since I'm not really a red wine gal. Husband's favorite was the Sweet Red Blend. And the Chardonnay was delicious too! You really can't go wrong with these flavors; they are tried and tested and turn out great with this recipe. 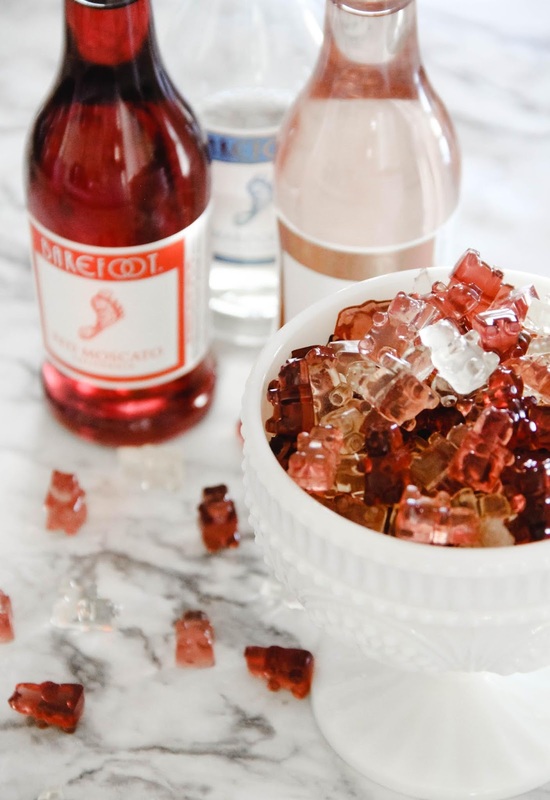 Stay tuned for my try at sparkling rosé gummies! Pour the wine into a saucepan and add the gelatin. Stir constantly until combined over low heat (high heat will burn off the alcohol). Once the gelatin has dissolved, add the sugar. Keep stirring constantly. When the sugar has dissolved, turn the heat off, and using the dropper quickly fill the molds. Make sure to put the dropper underneath the layer of foam. While filling the molds, avoid adding bubbles and the foam. Store molds in the refrigerator for at least 45 minutes until set. 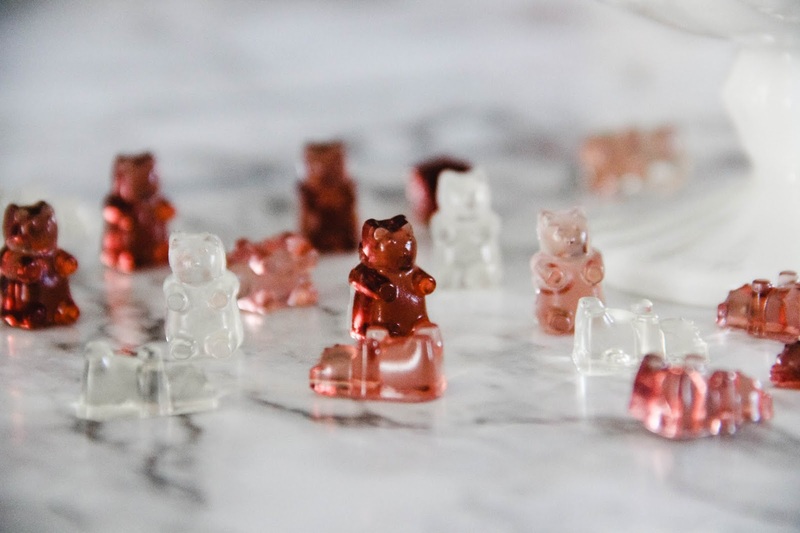 **Here are the Gummy Molds + Droppers used for this recipe. 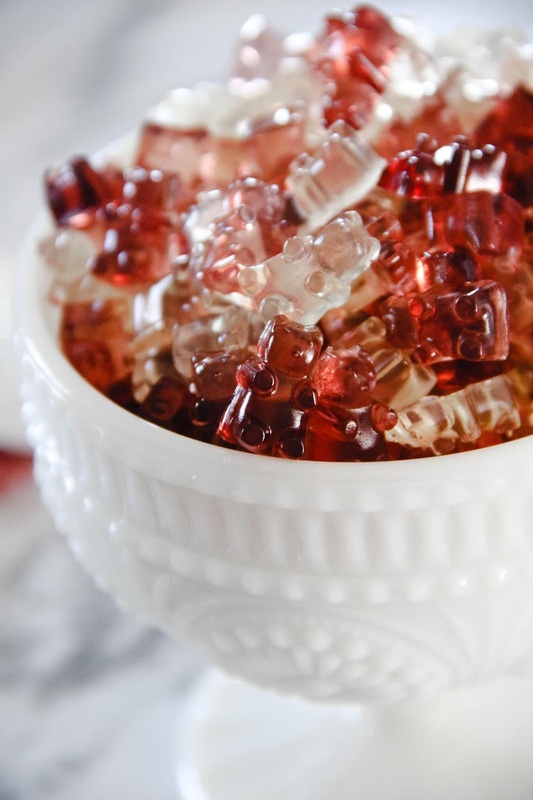 **Each recipe yields about 125 gummy bears. **I used the individual miniature bottles of Barefoot wine to make these. I found them at my local Kroger.